EU ministers and MEPs have clinched a midnight deal in Strasbourg on updating the General Food Law (GFL). The new legislation falls under the European Commission’s plan to update the GFL and follows the controversy surrounding the safety evaluations of disputed products such as glyphosate. Reforming the GFL, which established the EFSA back in 2002 and introduced the risk analysis principle to EU food law, was the last agri-food battleground of the current legislative period. After GFL’s fitness check was launched in 2014 and completed in January 2018, the EU executive presented last April new proposals that grant EU citizens greater access to information submitted to EFSA and boost transparency. The revised law will, however, have a large impact not only on pesticides but on all agri-food supply chain authorisations. The parliamentary procedure to adopt the mandate was long and troubled and ended with an unexpected twist, as the original rapporteur, Renate Sommer (EPP), announced her intention to quit the file immediately after the report was approved, displeased with the fact that the plenary voted down her approach. She was replaced by another MEP from the EPP, Pilar Ayuso. After the vote, the EFDD shadow rapporteur Piernicola Pedicini confirmed to EURACTIV.com that the proposal has risked getting bogged down several times during the entire procedure. “We had to push within the Parliament to make it clear that food safety is an issue on which delays or postponements cannot be tolerated,” he said. 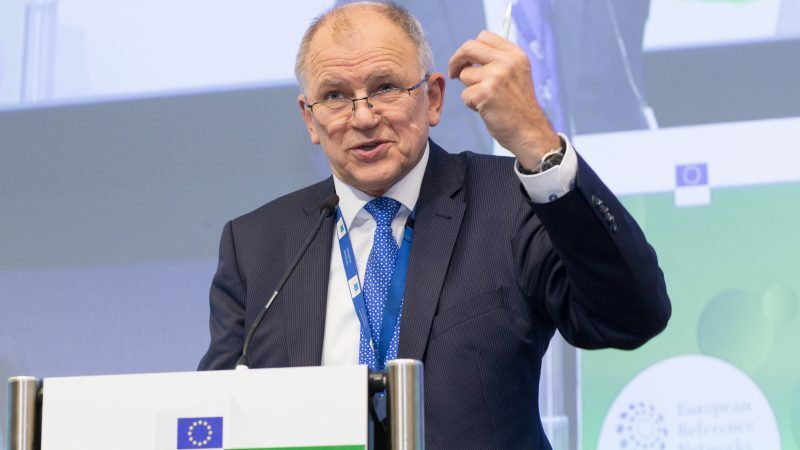 EU Health Commissioner Vytenis Andriukaitis hailed the deal, highlighting the fact that the proposal was a follow-up to the European Citizens’ initiative on glyphosate. “We have heard the call, notably expressed via a European Citizens Initiative on pesticides, for greater transparency, at an early stage of the risk assessment process, on studies submitted as part of an application for an authorisation,” he said in a press statement released after the deal. He also added that the EFSA will also be strengthened, with greater involvement of member states in its Management Board. “Today’s agreement, for which I congratulate the Parliament, the Council and the Commission, contains important measures that will strengthen EFSA and make our science even more open and robust,” EFSA’s Executive Director Bernhard Url told EURACTIV.com immediately after the vote. “Looking further ahead, it is important that these measures are accompanied by adequate resources, as envisaged in the proposal, to allow EFSA to implement them,” he concluded. “Surely more could have been done, but it is still a big step forward,” EFDD shadow rapporteur Pedicini commented. According to him, there was a lack of scope for the Parliament on some key points because both the Council and the Commission has been stonewalling on the basis of purely formal arguments, for instance about the possibility to extend transparency’s rule to the meetings among member states in the relevant technical committees. “But now there is a new regulation under which EFSA is obliged to publish the applications received, together with all the data and studies provided to support these applications,” he added. S&D shadow rapporteur Pavel Poc praised the deal, saying that there will be no more glyphosate-kind of cases in Europe. “The Council has endorsed the fundamental European Parliament position – strongly advocated and shaped by the S&D Group – including the early disclosure of information in the risk assessment process,” he said in a press statement. This story will be updated with the main outcomes of the deal and more comments.